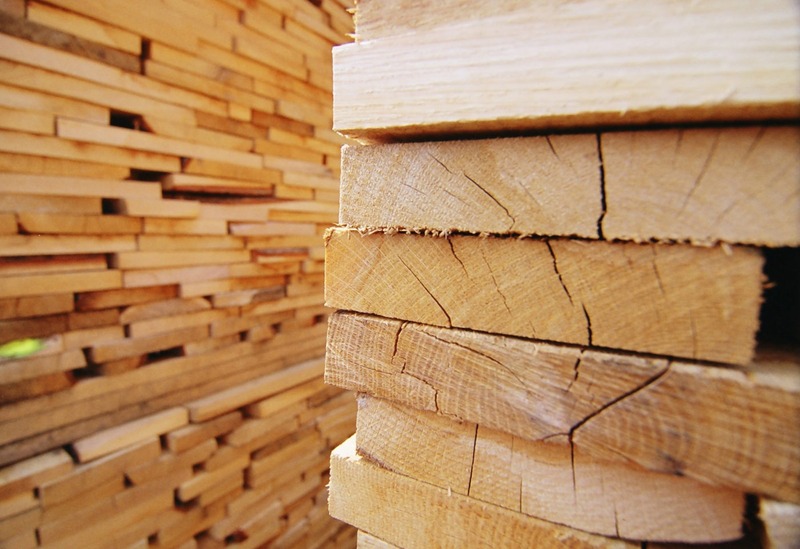 The U.S. Commerce Department just released its final determinations in its antidumping (AD) and countervailing (CVD) duty investigations against Canadian softwood lumber imported into the U.S.
As expected, Commerce announced it will indeed impose finalized duties in both cases. Commerce revised its tariff rates to be slightly lower and also excluded lumber from Newfoundland and Labrador, Nova Scotia and PEI. The Atlantic provinces have been excluded from all past disputes – what is different this time is that the biggest Atlantic producer and exporter, New Brunswick, is not excluded. Canadian media reports so far are focusing on the slightly lower revised tariff rates for the majority of companies. 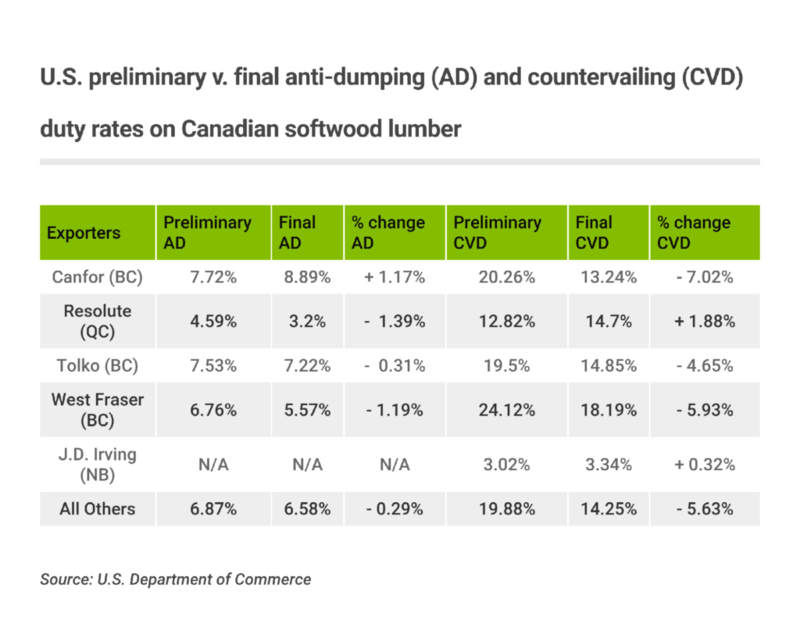 Tariffs decreasing by a few percentage points isn’t really cause for celebration; the bigger take-away is that the U.S. is now one-step closer to making these tariffs on Canadian softwood lumber permanent. Commerce’s final determination ends its more than year-long investigation into whether there were dumping and countervailing subsidies of Canadian softwood lumber. Now, the U.S. International Trade Commission (ITC) has until December 18 to finish its investigation into whether Canadian softwood lumber imports cause injury to the U.S. industry. We can expect another affirmative ruling from the ITC. If this is the case, the U.S. will impose permanent import duties on Canadian softwood lumber. The duties can be in place for up to five years before WTO rules require the Commerce Department to review them. Once the softwood duties are formally imposed, which according to Commerce will occur by December 26, Canada will be able to dispute the decision. In the past, Canada has used both World Trade Organization (WTO) and North American Free Trade Agreement (NAFTA) dispute mechanisms. A twist in the current Canada-U.S. battle over softwood is that we are also in the midst of renegotiating NAFTA, and one of the U.S. Administration’s goals is to delete the pact’s Chapter 19, the NAFTA dispute mechanism. The U.S. has a history of losing in NAFTA dispute panels, including every time Canada has used it to dispute the imposition of U.S. duties on Canadian softwood lumber. Launching a NAFTA dispute resolution case against the U.S. softwood duties could add tension at the negotiation table. Disputing the U.S. duties in either a WTO or NAFTA panel will take at least a couple years. Although Canada and the U.S. both say they are committed to negotiating a new softwood lumber deal, things have fallen apart after the U.S. industry rejected provisions in a deal proposed over the summer. With no end in sight and U.S. duties on Canadian softwood lumber exports about to become permanent, our final hope is that our winning streak with dispute panels overturning U.S. softwood duties will continue.